It seems that the new AMD Radeon VEGA GPUs are starting to show some potential for mining, giving high performance at not so high power usage. VEGA 56 seems to be doing better as far as mining goes as it is already optimized for lower power consumption and not pushed too much in terms of operating voltage to reach higher GPU frequency, and it comes cheaper to buy and these are often two of the most important thing when talking about GPUs for mining anyway. People are already pushing the Radeon VEGA 56 over 1800 H/s for Monero (XMR) mining with a power usage of just about 160W per GPU. 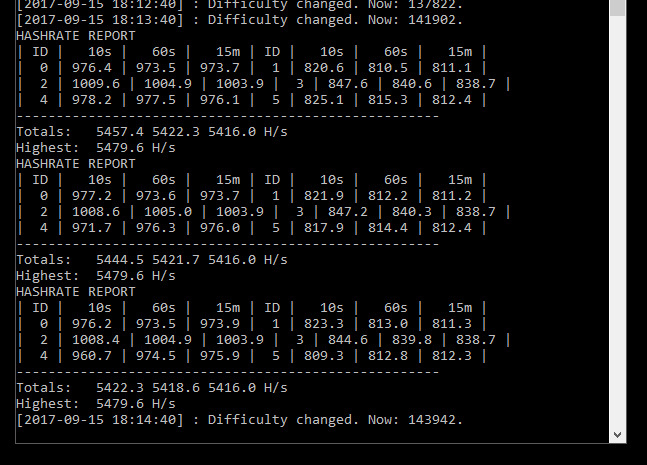 This is possible using the XMR-STACK miner with 2 threads along with the AMD Beta Blockchain drivers and with HBCC on. Reducing the GPU frequency with 30% and the power limit with 20% and setting HBM memory at 950. Though apparently this requires a lot of memory per card at the moment and may be a bit unstable at times and not so user friendly as you still have to rely on Wattman for the GPU settings from within the driver. It is definitely showing a good potential for the VEGA GPUs.